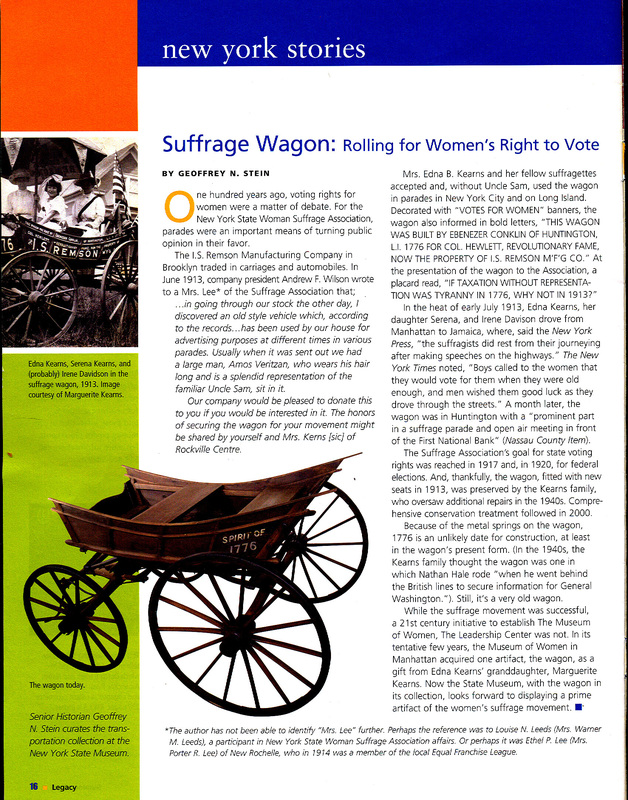 Our hero will go to great lengths to see suffrage wagon on Vimeo. Echo Dale Gardens, the nursery that Edna and Wilmer Kearns owned and operated in Plymouth Heights, PA. from 1920 on. 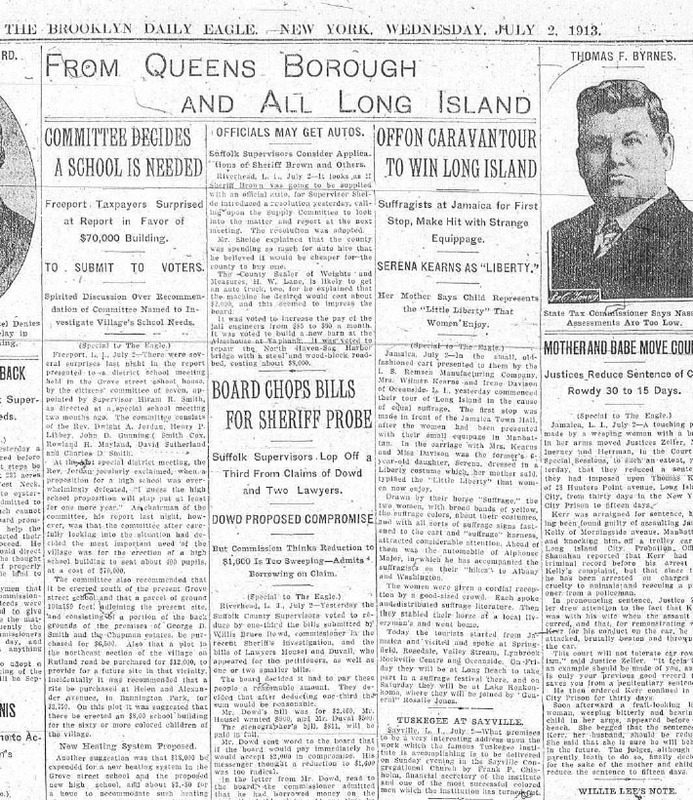 Archival materials at New York Botanical Garden, LuEsther T. Mertz Library, Bronx, New York. 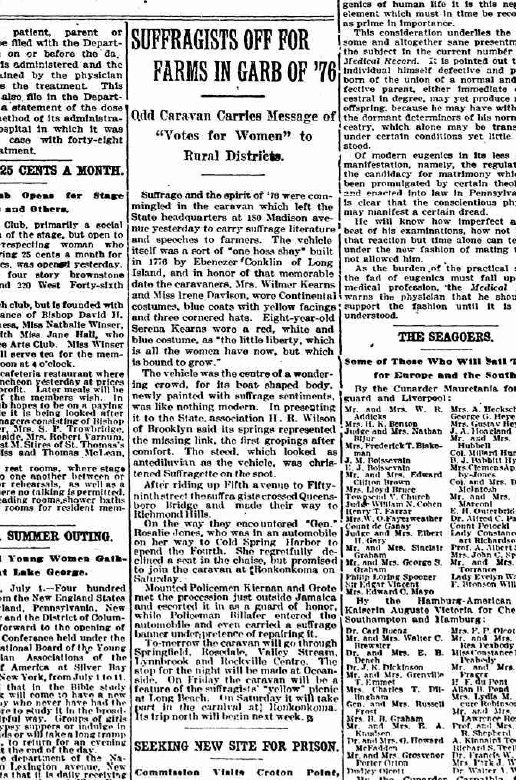 “From Wagon’s Tail Woman Spreads Gospel,” The San Diego Union, July 20, 1913. 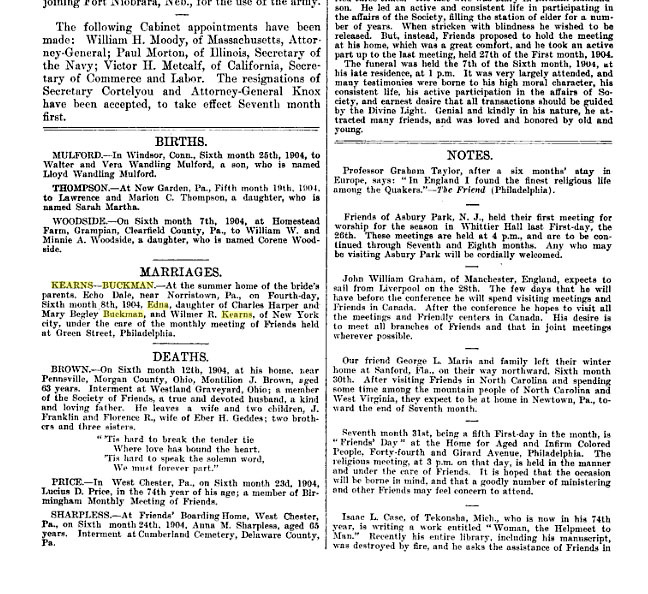 Greene, David L. The Kearns Family of Decatur and Derry Townships, Mifflin County, Pennsylvania, 1979. 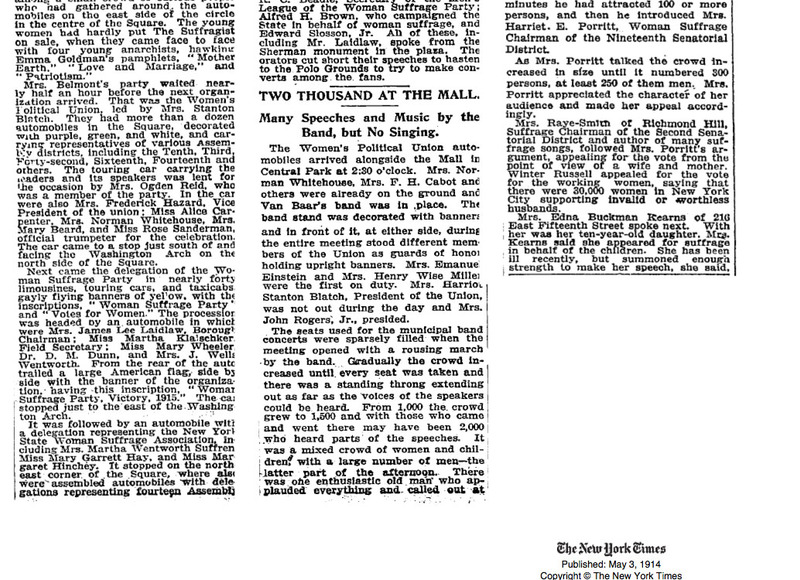 “Historical Sketches,” Conshohocken Reporter, April 16, 1929. PDF. Kearns, Marguerite. 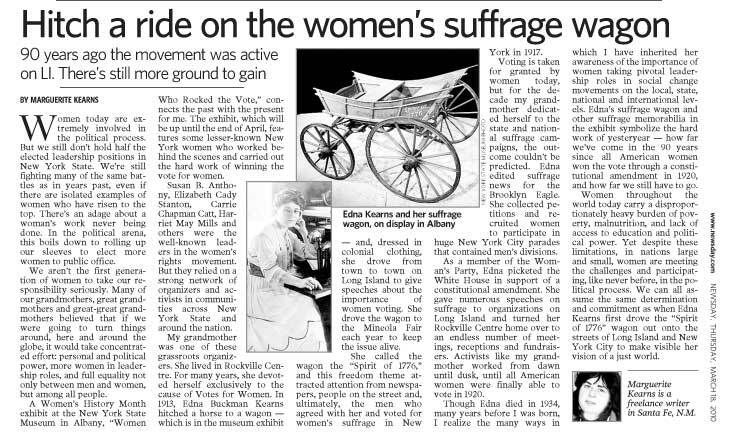 “Suffrage History: Long Island’s Three Wagon Women,” The New York History Blog, April 9, 2014. PDF. Kearns, Marguerite. “The Spirit of 1776,” New York Archives. Fall 2013, pp. 28-31. Petrash, Antonia. 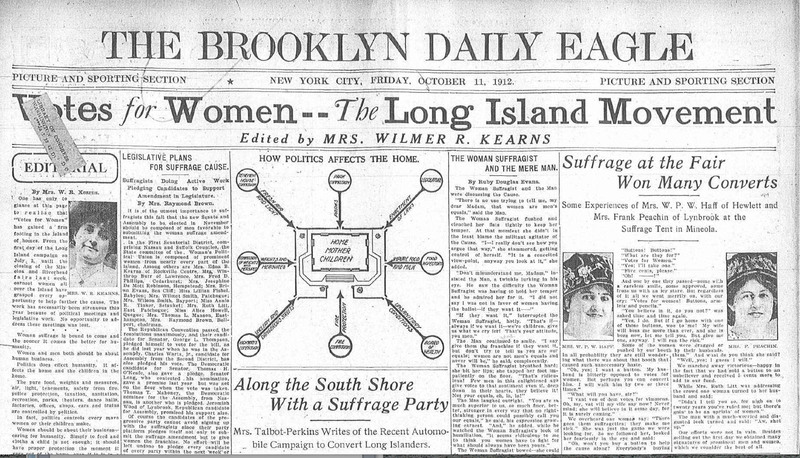 Long Island and the Woman Suffrage Movement. The History Press, 2013. 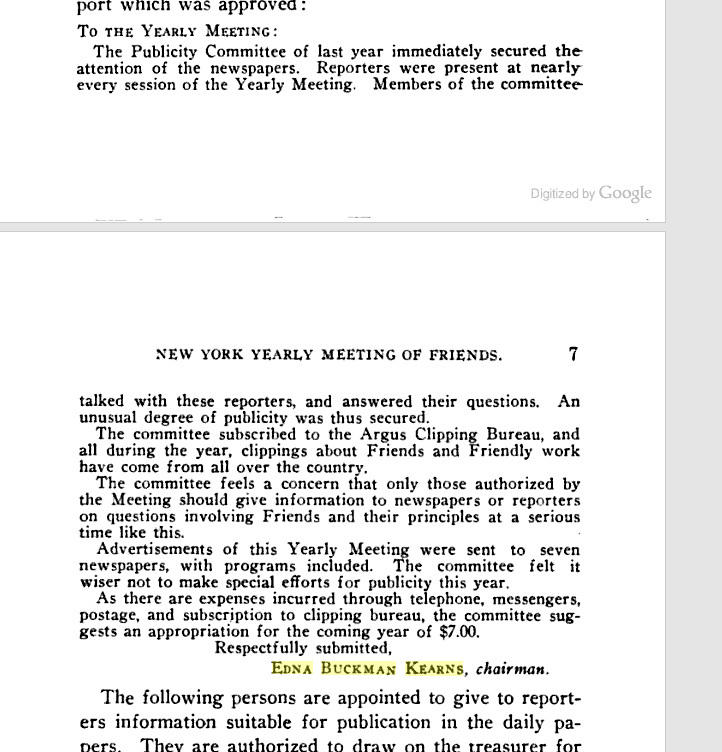 Proceedings of New York Yearly Meeting of the Religious Society of Friends, 215th Session held in the Meeting House on Fifteenth Street and Rutherfurd Place, NY, May 1910. (Edna Kearns, Reception Committee). 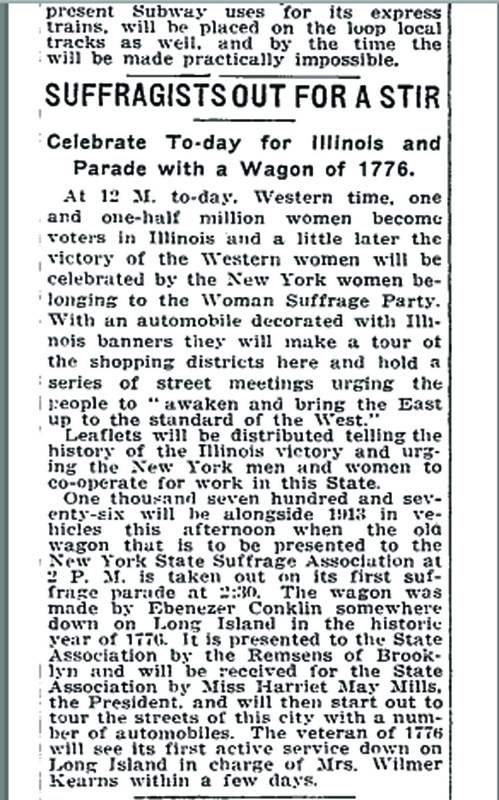 More news articles about the “Spirit of 1776” suffrage wagon and the 1913 Long Island organizing campaign. 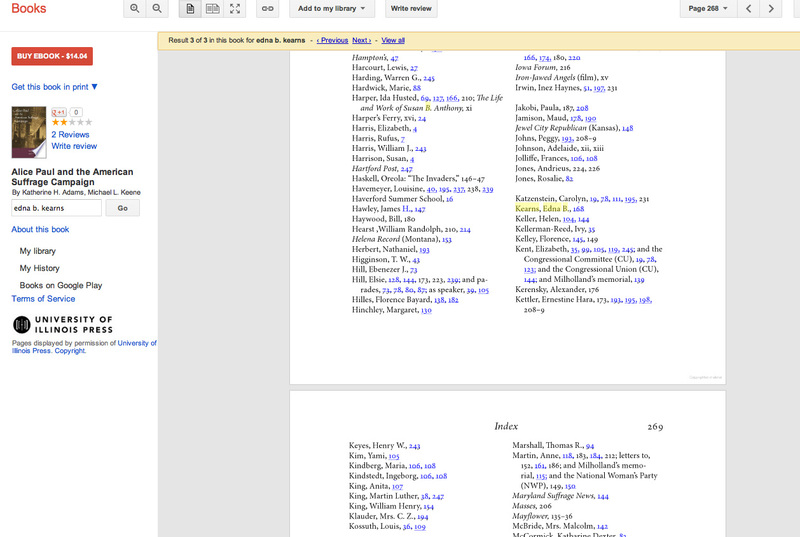 yet I never found any interesting web page like this. Had no idea of a museum piece I can actually go and see, but with some effort. I live in Maine. I’m thinking about visiting New York in 2020. Will be watching to see what else is there to see.